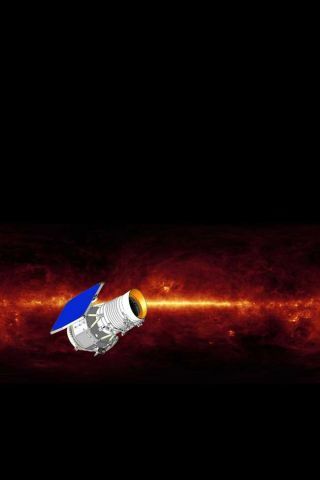 NASA is hoping to launch a new infrared space observatory onFriday, but cloudy weather could delay the flight. The Wide-fieldInfrared Survey Explorer (WISE) is slated to lift off atop a Delta IIrocket from Vandenberg Air Force Base in California on Dec. 11 between 9:09:33a.m. and 9:23:51 a.m. EST (1409 and 1423 GMT). Unfortunately, thick clouds and rain are forecasted,prompting NASA to give the weather an 80 percent chance of preventing the launch.Even if liftoff is delayed for 24 hours, the forecast looks to be similar. If the spacecraft cannot launch Friday or Saturday, NASAwill stand down for two days to allow the cryogenic cooling systems on WISE tocool back down, and then try again. Conditions do look better for a launchattempt next week. "The weather finally starts to clear and break up for Mondayand into Tuesday," said NASA weather officer Capt. Andrew Frey, Jr.
"I can report that the instrument and the satellite isready to go, the flight team is ready to go, and that the operations team isready to launch and operate WISE," said Bill Irace, WISE project manager. "We'rereally excited about this. It's a matter of just the weather now." "It will represent the infrared motherlode that astronomerswill mine for years to come," said Jon Morse, director of astrophysics atNASA.